Ramadan is around the corner and I wanted to do something fun to get the cookie monster excited about Ramadan and Eid. He is already pretty excited, he even wants to fast (he’s only 3, so I’m not going to force that one). Last year I made a Hajj Advent Calendar for Hajj and Eid-ul-Adha, it worked out so much better than I could’ve expected and it has motivated me to ensure I can make learning at home fun and exciting for him. As you can see the they aren’t numbered so I can choose them day by day as I see fit. I’ve also included this blank version if you’d like to print out the cards and fill them with your own ideas. I know these activity tickets don’t have a Ramadan feel, but it’s all I could come up with right now. When I did the Hajj Advent Calendar, it was very rushed, I made it on the first day of Dhul Hijjah. I didn’t have chance to come up with ideas to fill into the calendar, which meant a lot of lollies and cheap little toy cars. This time I wanted to fill the calendar with things that aren’t material, there’s crafts, games, colouring and more. I’m including the list below and will update the list with links to that particular activity, either from my blog, other blogs or links to pics from my instagram and facebook accounts, as the month goes on. Be sure to follow! In the next few days I’ll also be making the actual calendar and will try to get a tutorial posted up for that as well in shaa Allah. Make Eid Cookies – This would have been Day 30, but who am I kidding? Did I honestly think I’d get to do anything on day 30? It’s the day before Eid! 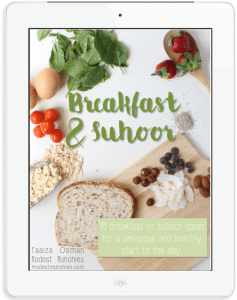 Make a Ramadan Poster – Day 4 we made bunting, if you’d like to make it too, check out my post here for a free printable. 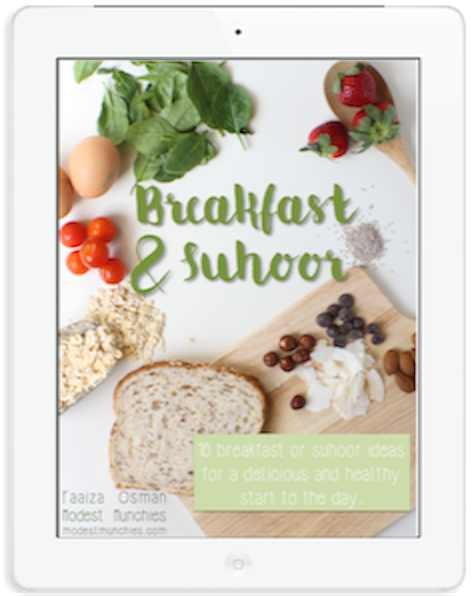 Paint/colour a Ramadan Picture – Day 2 – There’s a whole lot of options with this, just searching Google and even Crayola has some colouring pages. Our printer wasn’t working when I needed this so I drew a picture instead. Here are some other ideas I just absolutely love!! I love this idea! What a wonderful way to get the kiddos interested in Ramadan! InshAllah will definitely be using these ideas this Ramadan! Thank you Henna 🙂 I’m hoping to get up specific posts related to some of the activities in shaa Allah. Missing your posts! Amazing post with great ideas. Loved it.